Amber's Salon & Training Institute - Connect with Amber Khan's Salon. Get tips, consultations & stay updated with the new trends , styles and promotional offers!! Amber Khan Salon is a premium Hair & Make-up Salon providing our clients with an array of professional beauty services. Our services menu also includes herbal treatments for those who want to stay close to the bounties of nature. 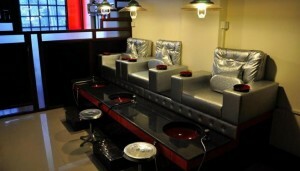 It is owned by Amber Khan, a renowned personality known for her expertise in make-up, styling and grooming. She prioritizes finding the perfect styling and look for her clients to create a fashion statement. We value talent and high quality standards, evolving constantly by means of our endeavors. Striving to provide a pleasant experience, you won’t leave our salon disappointed. At Amber's Salon & Training Institute , providing our clients with the right consultation and treatment is our goal. "You get what you have in mind, OR even better" Keep away your treatment disaster worries , relax and just leave it to Amber. I FEEL FORTUNATE TO DO SOMETHING FOR A LIVING WHICH I ABSOLUTELY LOVE. MY PASSION LIES IN CREATING UNIQUE LOOKS FOR MY CLIENTS, BY EMPHASIZING THEIR NATURAL BEAUTY. MY TOP PRIORITY IS TO FIND THE PERFECT STYLING FOR MY CLIENTS. Our Brides Will Be The Most Beautiful Brides To Walk Down The Aisle! We Want To Help Make You Feel Happy, Beautiful, Confident And Gorgeous! 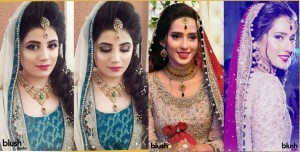 It's What We Do Best!” Bridal Makeups Are Done By Amber Khan Herself. Evening Party Makeup by Amber Khan without Hair Styling. Bridal Makeup By Junior Artist. Ubtan and Mehndi Makeup by Amber Khan. Light Eye Makeup by Amber Khan. Engagement Makeup by Amber Khan. Evening Party Makeup by Amber Khan with hair styling. Our aims to make the eyes look noticeable and attractive with very reasonable price. A Great Cut Can Enhance Your Texture, Camouflage Thinning Areas, And Even Complement Your Beautiful Bone Structure! A Haircut Also Helps Keep Hair Healthy, & Allows Your Styles To Last Longer! Only on FRIDAYS, From 2:00 pm to 4:00 pm. We would like to treat you with our All extravagant services at 50% OFF*! *Please note this promotion is only available prior to bookings on the same day. All services included except Hair Colouring, Chemical Straightening & Makeup.